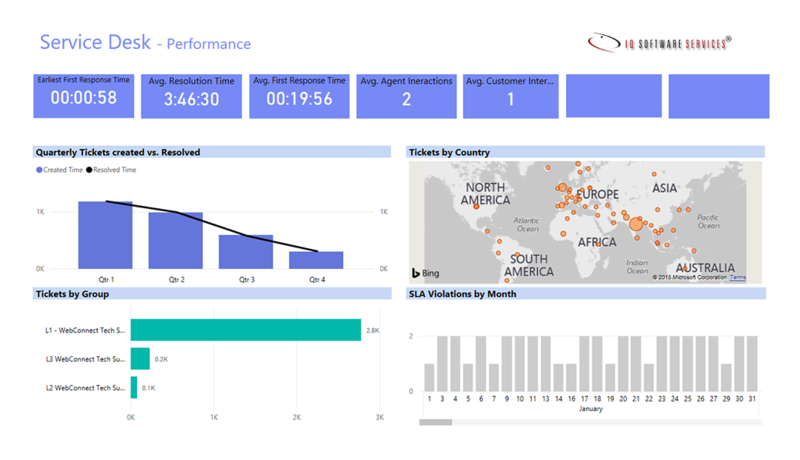 The support desk dashboard helps to proactively manage support queue efficiently, analyze incoming ticket trends and minimize loss due to any SLA impacts. Getting started with Support Desk makes you get ahead of the service impacts, before they spell trouble for your customers. 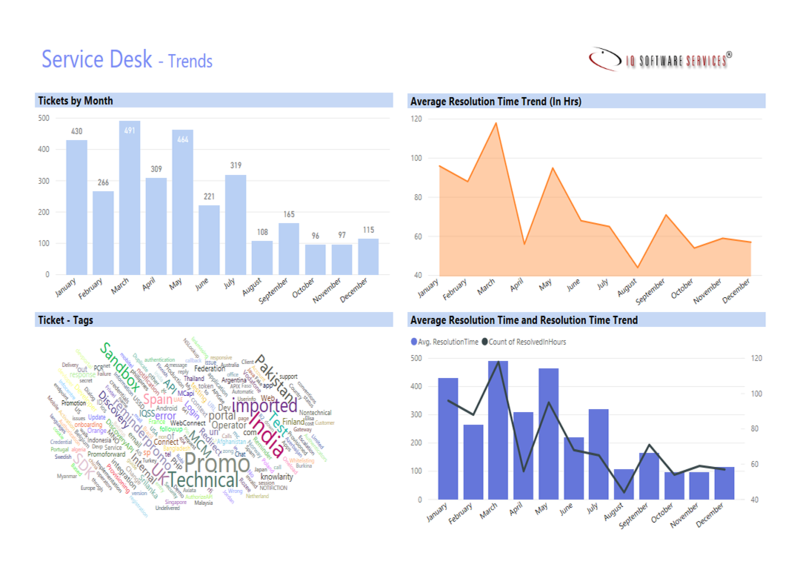 Integration with Fresh Desk helps this dashboard improve support delivery performance and efficiency with better insight into your ITSM data. Analyze inflow of customer tickets, view details related to their account and contact information to improve support performance levels and customer satisfaction. 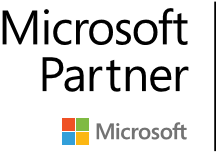 Helps forecast requirements and trends from key accounts and estimate business impact. 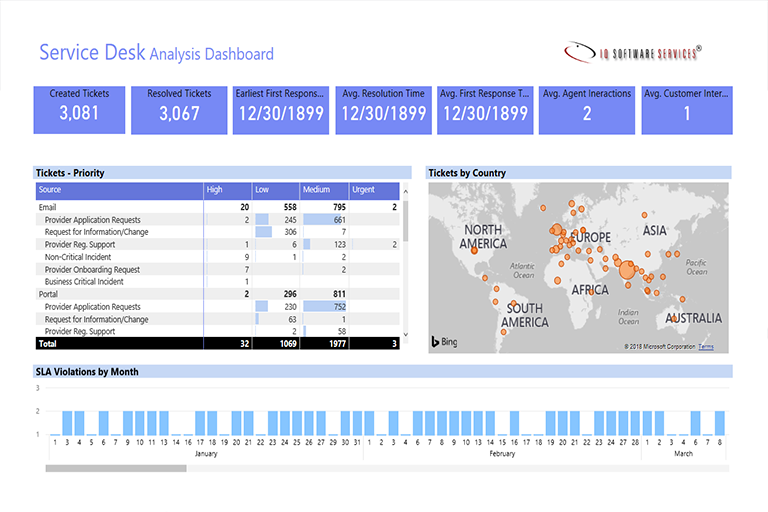 The dashboard highlights support desk key metrics to monitor the operations, it also provides an overview of the ticket trends, SLA violations, the ticket relevance and other information. Please see more information below about the reports that provide insights about the service desk and quality. 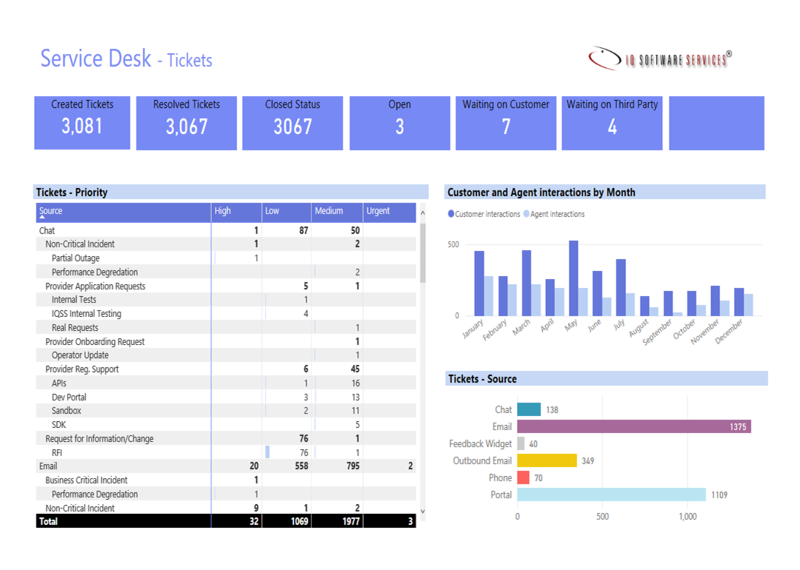 This dashboard is integrated with Fresh Desk using Fresh Desk API for fetching tickets information from the support desk to provide insights into your ITSM data. Provides overview of tickets created via different channels, the report based on the priority, category, sub-category is available for the users to analyze the trend. The trends indicate the share of tickets by category that allows the manager to plan and allocate support personnel based on the volume and the priority. The average customer and agent interactions in a ticket indicates the service quality of relevant information and service provided. Support performance provides key indicators measuring the SLAs along with key metrics for the management to monitor the service. The average response time, initial response time along with interactions helps management to analyze and focus on the services areas there by taking measure to improve. The volume of tickets by geography location and SLA violations aid to monitor the service delivery. The top keywords and areas the tickets have been reported there by helps the support desk to focus on the areas to focus and train support personnel. The tickets by month along with average resolution time and the resolution time for a duration helps to assess the support desk performance in ticket resolution towards providing better quality of service. Support agent performance is measured based on key metrics and this report provides summary of the tickets handled by each agent, along with the tickets for particular duration. The resolution time of tickets handled by agent in comparison with the average resolution time helps analyzing the performance and also the tickets handled by agent.